Still the same pattern over here in venice. Get out when we can between the fronts. Starting to sound like a broken record talking about the wind but it is what it is. The spring pattern is still going on with plenty of fish on the shelf when the water and current are right and if not I have been going to the floaters. I went to the floaters three times and two were good and one was a stinker. 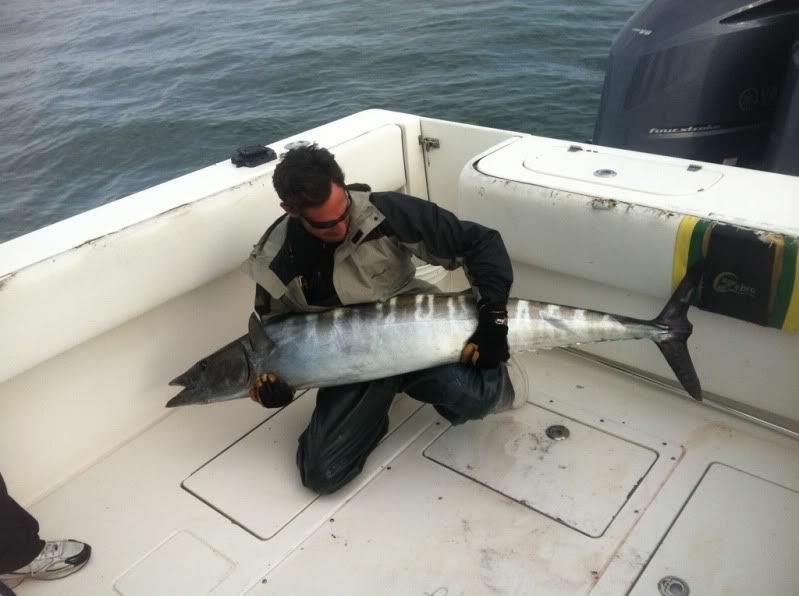 I fished with Mike Izzo and his crew last saturday and we trolled around the shelf and caught one big wahoo and one good yf before we went south to the floaters where it was on. 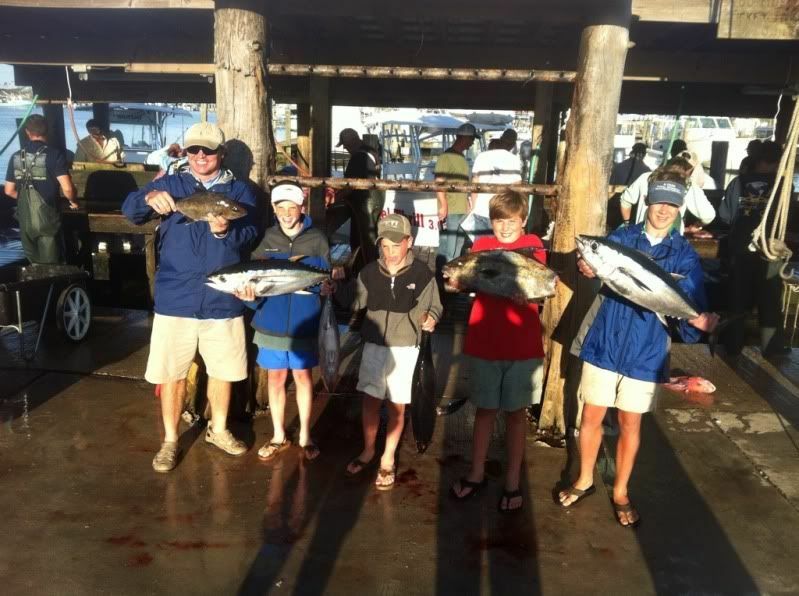 We hooked at least one yf every chunk drift and ended up catching a limit of yf with 4 of them being quality fish. 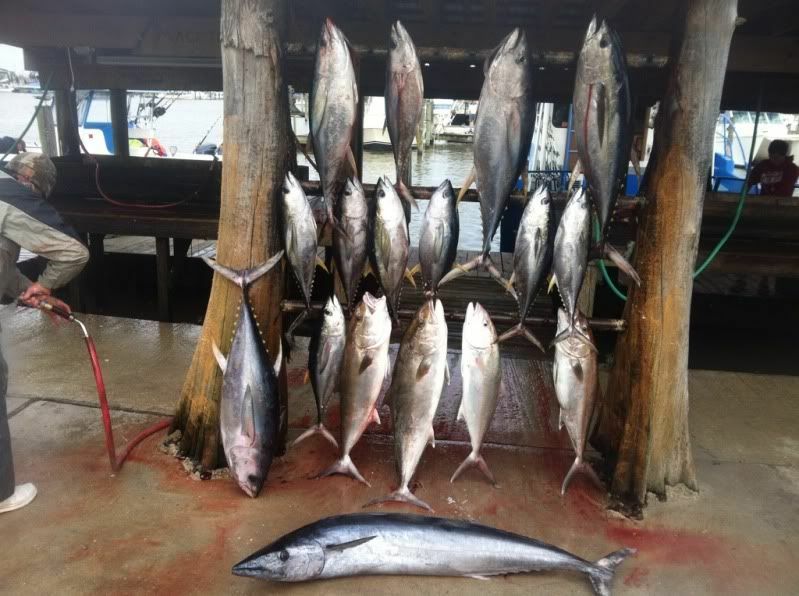 All of them came on chunks of blackfin. 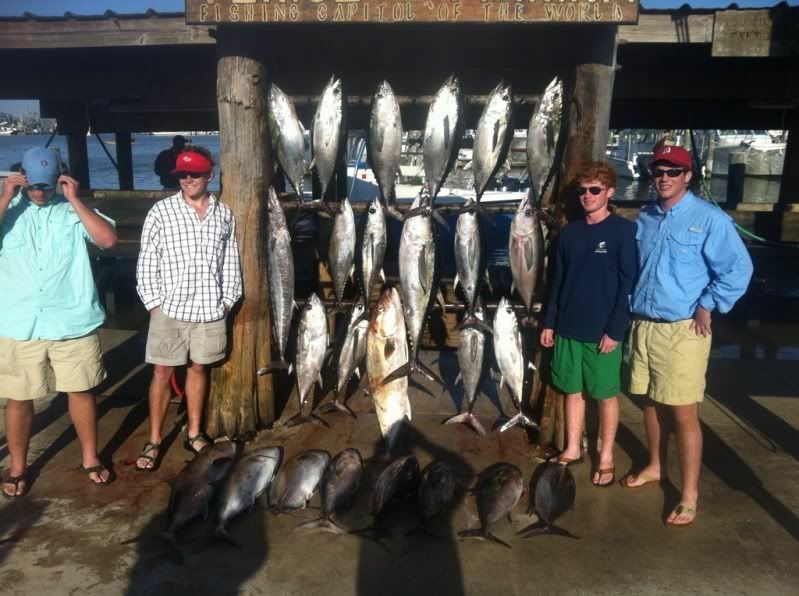 After that I went jigging and we hit our limit of ajs. The very next day with same conditions I went out to the same rig and everything looking the same and only got three bites with one of them breaking us off in the cables. 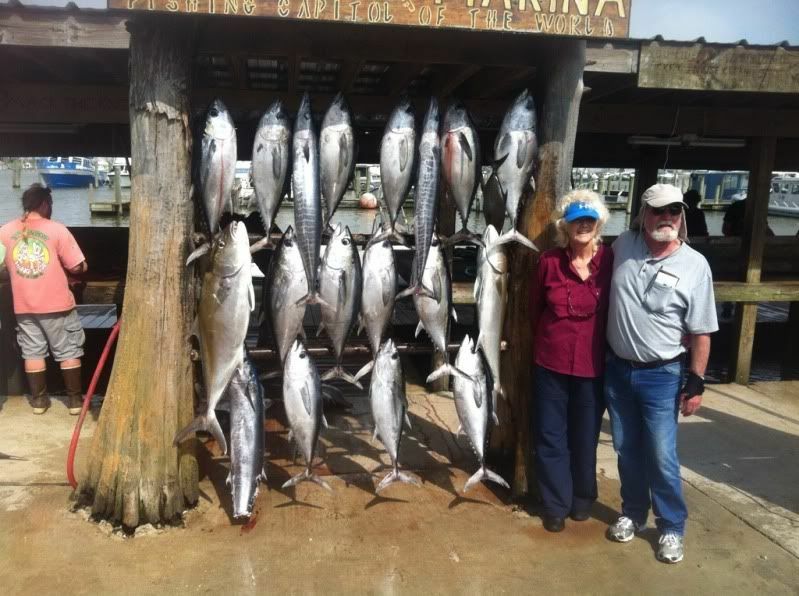 After that we hit the same rig for ajs that we hit the day before and about 5 others and never had a bite. The days that the water was good inside the jumbo blackfins were eating chunks up on rigs in 300-400 feet of water. Chunking with pogies or bonitos and we would load the boat with blacks. 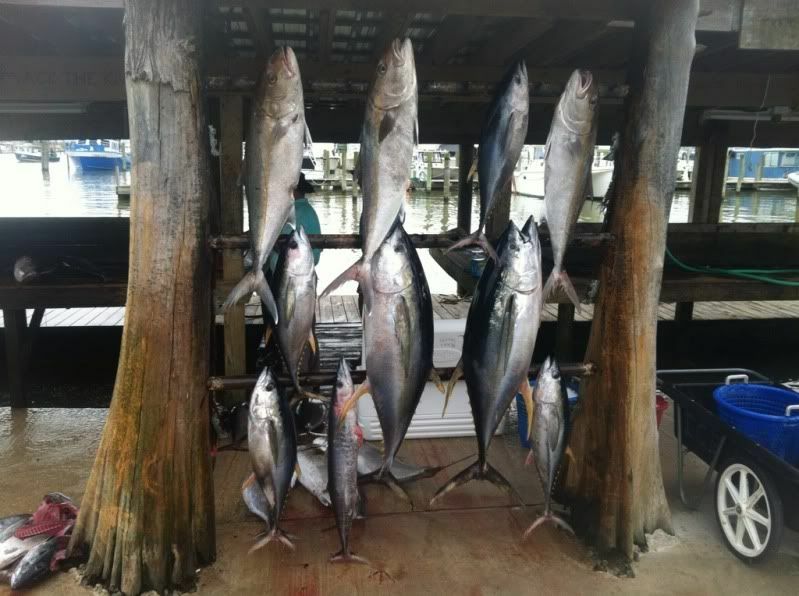 Ive been seeing more birds offshore and small tunas busting the surface so hopefully everything starts stabilizing and we can start pounding some tunas.